Tswala fills you with a sense of contentment from being surrounded by so much space, colours, textures, a myriad of sounds and vast silences of the wilderness. Tswalu is the largest private reserve in South Africa enclosing an area of over 100 000 hectares. Located in the Kalahari Desert in Northern Cape Province, it lies 700km from Johannesburg and 270km from Uppington. 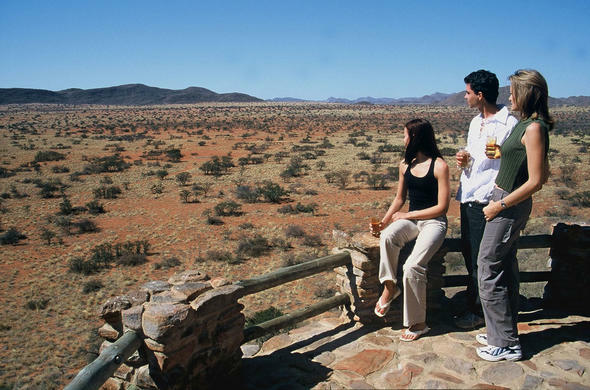 Tswalu offers a real desert experience with breathtaking landscapes and sunsets in this historic home of the bushman. The Kalahari region is regarded as the finest area in Africa for star gazing and Tswalu has a high powered telescope for guests' use For artists and photographers - Korannaberg mountain lookout offers breathtaking landscapes. Tswalu prides itself on the number of different animal species. Through great conservation efforts animal numbers are growing in a completely natural habitat.